Product prices and availability are accurate as of 2019-04-21 14:16:11 EDT and are subject to change. Any price and availability information displayed on http://www.amazon.com/ at the time of purchase will apply to the purchase of this product. 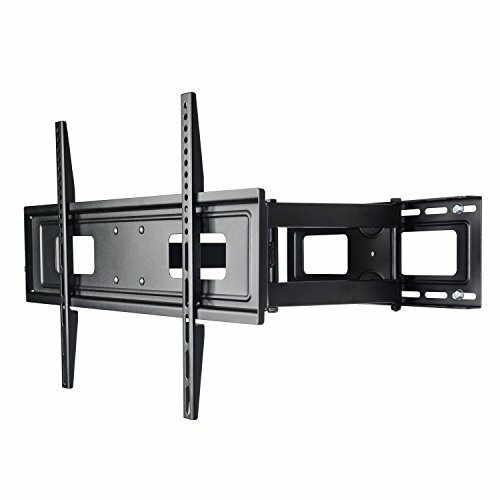 The VideoSecu single arm TV wall mount constructed with solid heavy duty steel, support most 32" - 65" flat screen TV with mounting hole pattern up to 24 inch wide and 16 inch high (VESA 600x400 600x300 600x200 500x300 400x400 400x300 400x200 300x300 300x200 200x200 200x100mm). 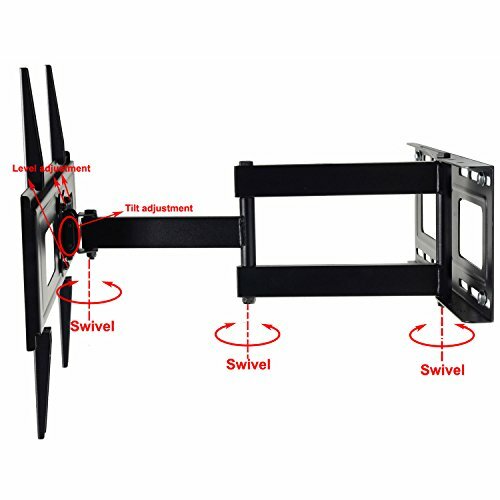 Single arm design support 180 degrees side-to-side swivel and the plate can turn left or right up to 90 degrees (The max degree is depending on your display size). 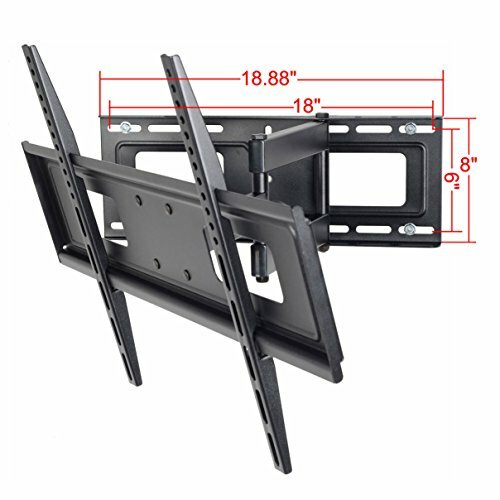 The TV mount tilt forward 15 degrees or backward 15 degrees and extends the flat panel screen up to 21.65" from wall to achieve vast range of viewing angles. 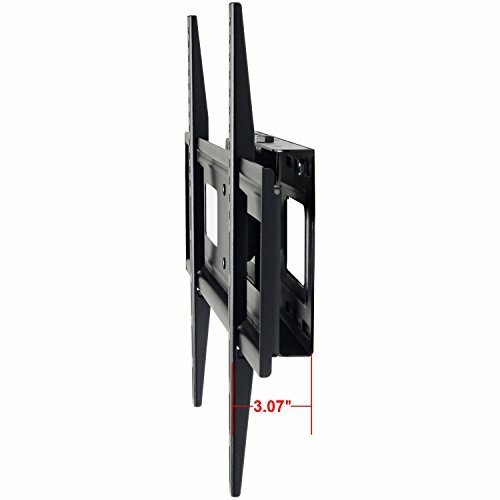 18.88 width wall plate support mounting stud up to 18" (standard mounting stud is 16" in US). Post installation level adjustment allows left and right rotation for perfect level in different view angles. Additionally, security screws lock the TV bracket to the wall mount from the bottom. How to ensure the mount compliance with your selected display? First, the weight of your display should be less than 135lbs. 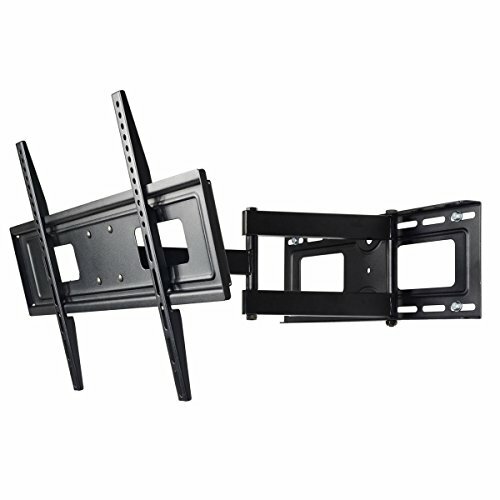 Next, mounting holes distance on the rear of TV must be less than 24" (600mm) horizontally and 16" (400mm) vertically. Last, your TV should be at least 32 inch wide. Otherwise, you will see the bracket. 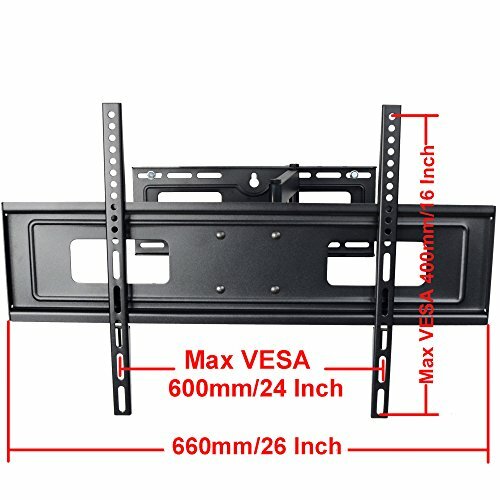 Notice: This mount fits most 32-55" TVs (VESA hole patterns from 200x100 mm (8x4") to 600x400mm (24x16")), some up to 60 65 inch TVs manufactured in recent 3 years.